The Thule Raceway 992 carrier is easy to use and carries three bikes safely and stably on the back of your car. Clever design means it's easy to set up and once done it's very easy to refit, but a few drawbacks mean it's not for everyone. Angeneral advantage of a rear-mounted rack like the Raceway is that it doesn't hit your fuel consumption as badly as a roof rack. It's also a lot less awkward to mount heavier bikes because you don't have to lift them over your head. The big unique feature of Thule's pair of Raceway carriers is that Thule have already worked out for you how to set them up on your car, so all you have to do is dial them in and away you go. The numbered positions make initial set up really easy. Look up your car in the manual, set the arms and you're sorted. 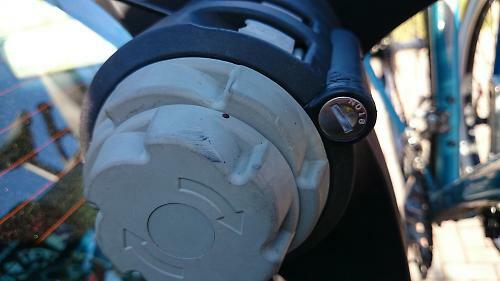 Dialling in the cable tension is similarly straightforward. It needs strong hands, though, and it helps to have someone hanging on the arms to get the lower cables really snug. Once you have the main body in place the arms swing up and lock in place with a very firm clunk. To remove it, you just loosen the lower cables, leaving the top ones set up for next time and therefore making subsequent fitting a doddle. We've driven to Brittany and back with bikes on it and it's been rock-solid stable. Thule offers two versions. The Raceway 991 carries two bikes, while the 992 that we have here carries three. It's heavy at 10.4kg. On the one hand, that means it's robust, on the other it's too heavy for some. I could manhandle it into place; my significant other Caroline couldn't. That also means even with no bikes, opening the rear hatch takes effort. Best make sure the boot's loaded before you fit the rack. It doesn't officially fit all cars. Our Renault Scenic mark 2 isn't on the list, probably because it has plastic door trim and unless you're careful you can hook the lower cables to the trim instead of the metal. This theoretical niggle aside, it has, as I said above, been absolutely stable. It folds down small enough that it's easy to squeeze it into a corner of the garage or the cupboard under the stairs. Bikes are held in place with three silicone rubber straps, two round the top tube and one round the seat tube. The latter is mounted on a hinged cradle that comes off the arm to make it easier to get bikes on and off. 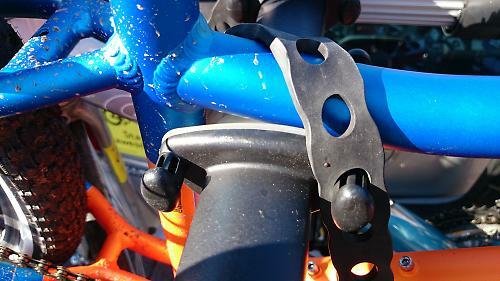 The cradles that support your bike are all lined with thick silicone rubber. I managed to damage unlacquered decals with the straps but they're kind to paintwork. However, the seat tube cradles are a bit of a pain. They have to be removable otherwise getting a bike past them is awkward, but 'removable' to me means 'easily mislaid'. I think they're in the glove box right now, but I'd have to check to be certain. The hooks for the door edges are also removable and this is more annoying as they're small, black and easily lost. The Thule Raceway 992 works best with light, diamond frame bikes with drop handlebars. That's how Thule's website and other marketing shows it, so this is no surprise. For other frame shapes, you'll need Thule's Bike Frame Adapter 981 or similar device that bridges the seat tube and head tube of a drop-framed bike. Its not the right rack for flat-bar bikes. The bars tend to interfere with each other, and I ended up loosening stems and turning bars to get them on. That's the kind of faff you can do without when you just want to get riding. 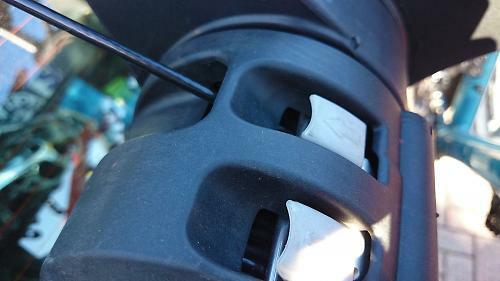 Once you've mounted the Thule Raceway on your car, the locks on the dials secure it so nobody can help themselves to it. 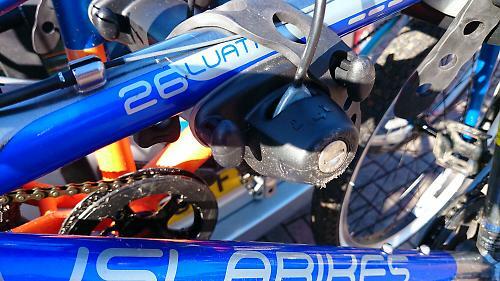 The same key operates the integrated cable lock that goes round the outermost bike, therefore securing all three. It's a flimsy cable though, clearly intended as protecting against a casual thief not a serious one. We added a D-lock if we were leaving the bikes unattended. The Thule Raceway 992 is easy to fit, and even easier to refit. It holds your bikes securely in a position that makes mounting them easy, and that keeps fuel consumption under control on long journeys. Its weight means you'll need a modicum of upper body strength to fit it, and the number of loose pieces that can go astray is annoying, but those irritations are outweighed by how nicely it cradles your bikes and its overall feel of bombproof quality. 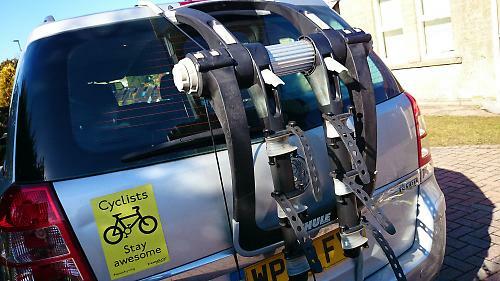 It's definitely far better for carrying road bikes than hybrids or mountain bikes, to the point where I'd choose a towball-mounted rack like the Easyfold or EuroClassic if I were carrying flat bar bikes. "The revolutionary Thule RaceWay is our strongest, most secure and easiest to use rear mounted bike carrier." It's certainly easy to use, and feels study as all hell. Sturdily constructed and with Thule's usual excellent attention to detail, but removable parts are a pain. Score is for carrying road bikes. For flat-bar bikes it'd be a 4 or 5. Remembering where the removable bits were. Would you consider buying the product? Yes if I only owned road bikes. Would you recommend the product to a friend? Yes if they only owned road bikes. This is not a versatile rack, but Thule only shows it with road bikes, which is a pretty clear signal it's not really intended for use with mountain bikes and other flat-bar bikes. Within its limitations, its a very good rack. Thule says: Sure-Tight ratcheting cables provide maximum fastening security to your vehicle. Patented FitDial guarantees a 'perfect fit' to your vehicle. Molded rubber pads provide firm hold to vehicle and protect against scratches. Premium Cradles with RDT (Road Dampening Technology) secure the bike to the rack while absorbing road shock. Patented No-sway cages prevent bike-to-bike and bike-to-vehicle contact. Narrow cradle arms hold a variety of bike frames including smaller children's bikes and fold when not in use. Lockable bike-to-carrier and carrier-to-vehicle (locks included). Folds flat for easy transport and convenient storage. This product does not have universal fit. Please use the Thule Buyer's Guide for information related to specific car models. Use Thule Bike Frame Adapter 982 for fitting of bikes with non-standard frames (e.g. ladies' bikes, BMXs, downhill bikes). It's not light, which can make initial mounting awkward. Great with road bikes, as long as you keep track of the bits. Ease of set up and fitting. Three hundred quid is a lot of money for a boot rack. The Raceway's sturdiness, construction quality and ease of use help justify the price tag. 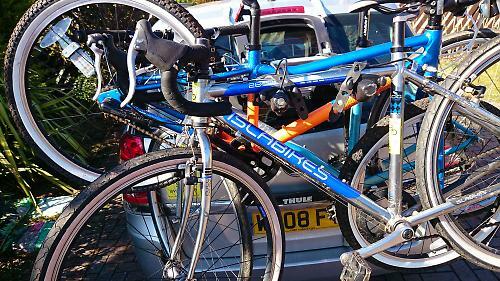 It's a decent buy if it suits your bike fleet and car. A friend of me has such a rack, and my bike has been on it many times, and as said before it's rock-solid! That looks an awful lot like a saris bones rack. Is it the same thing with a different name on the side? I've used mine (the 2 bike version) for about 2,000 miles and it's been great, I'm heading down to the south of france next month to really put it to the test! heavy, but no extra height means no low-bridge damages! My friend was looking at get either one of these or the similar model that Saris offer, but was put off when he read that this isn't a recommend method for transporting carbon framed bikes as the direction of stress runs contrary to a carbon frame's natural strength. Personally, I've never noticed any problem with carrying my carbon bike in this way, although it has made me question whether the maxxraxx I started using recently is such a good idea?